Elizabeth is an accomplished innovation practitioner, having worked with a variety of global brands across a spectrum of industries throughout her career. As Chief Strategy Officer/General Manager at Leap, she brings vision and clarity to shape paths forward and generate possibilities. Her perspectives on innovation combine proven disciplines with fresh, nimble techniques. 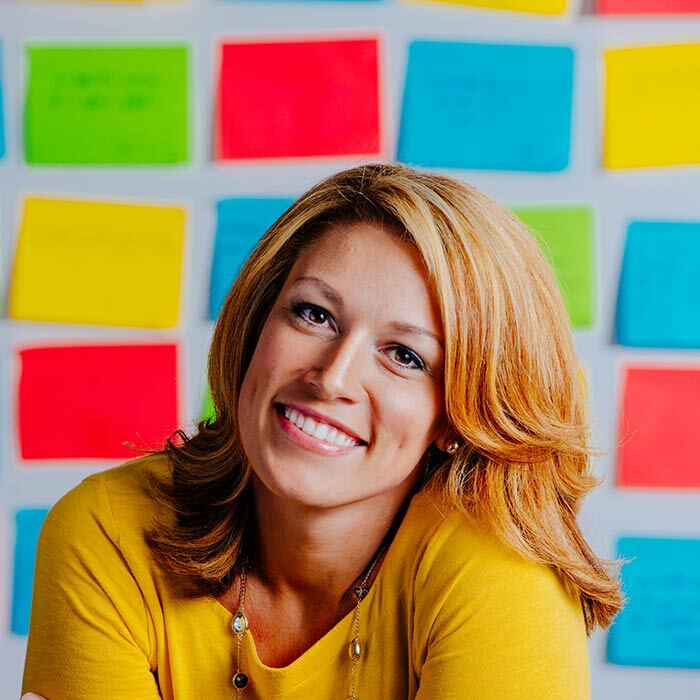 She brings strategic value and leadership to Leap’s client engagements along all phases of the innovation journey, from framing the challenge, uncovering and synthesizing insights and developing/creating concepts through optimizing ideas. Her expertise in innovation is built on a solid foundation in marketing and brand communications. Elizabeth is a thought leader, content leader and people leader. A great believer in the power of “for real” collaboration with client teams and consumers alike, she’s known for bringing acuity, energy and humor that elevates both the experience and the results of every project. 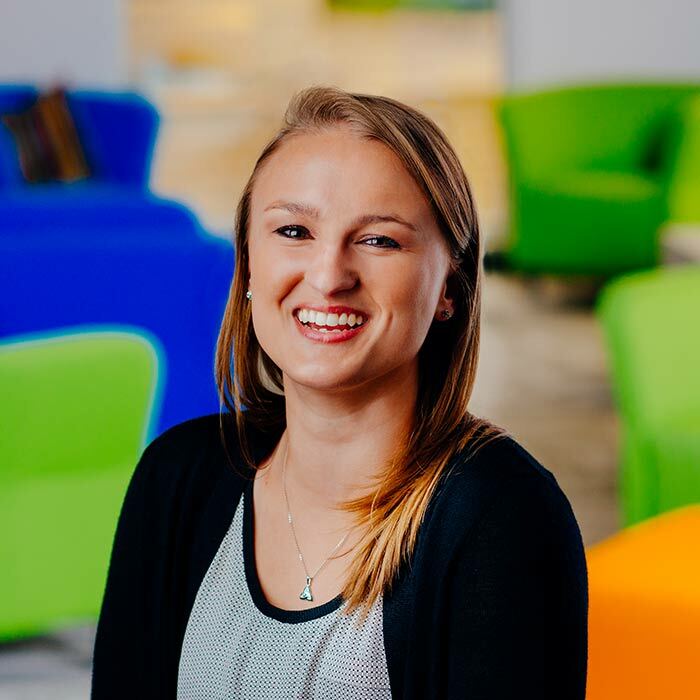 In her role as Innovation Manager, Lindsey is fueled by her passion and skill for connecting: connecting needs to solutions, insights to action, and clients to new opportunities. 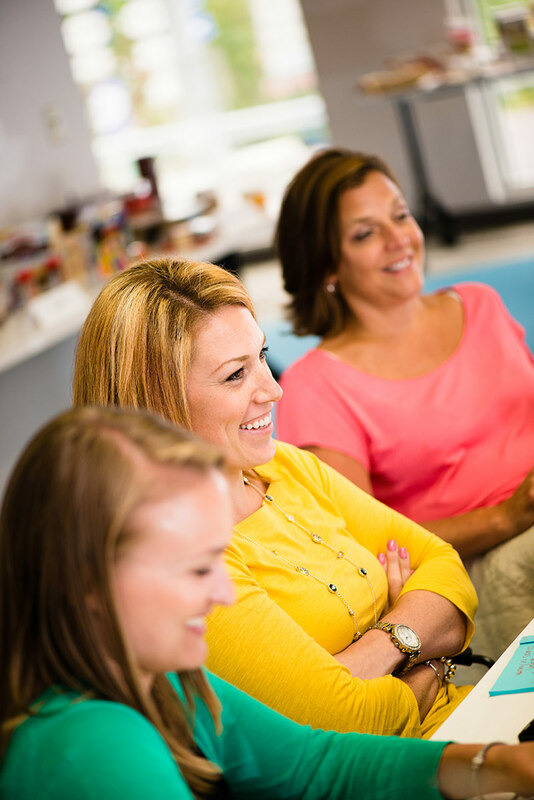 Lindsey leads innovation programs and cross-functional teams with a spirited eye to both powerful results and efficiency. Often, she can be found leading creative insights sessions around the country, like speed rounds and analogous immersions, or scouring hours of findings to mine only the richest of truths. Staging up for Ideation with sizzling springboards and crafting concepts with potent consumer DNA are a few of her proven strengths. She is naturally planful but can pivot on a dime — essential qualities for the business of innovation. Lindsey has gained the perspective of a myriad of project types in both consumer and business-to-business categories throughout her career. 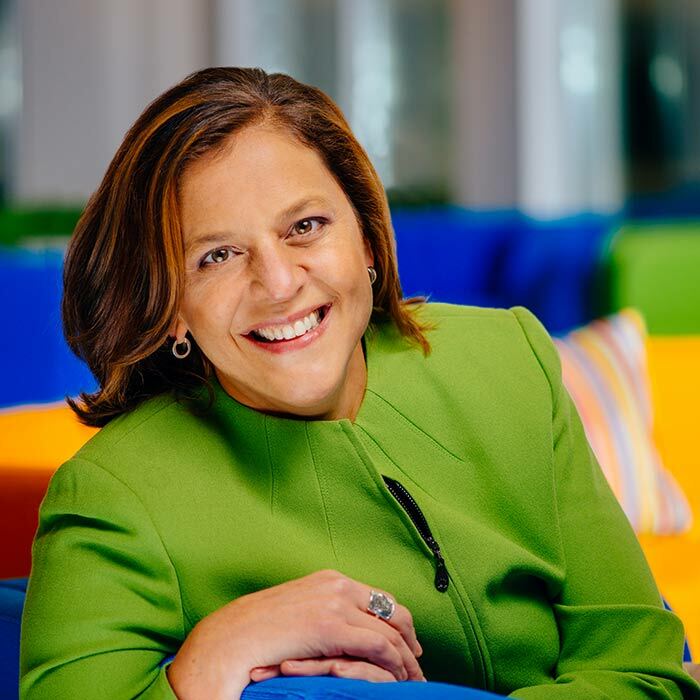 Today, she is instrumental in Leap’s delivery of powerful innovation results to clients such as The Hershey Company, Campbell Soup Company and Benjamin Moore. Applying her degree in mass communications with a minor in psychology from the University of Delaware, Lindsey began her career focus in media and research within a marketing communications agency. There, she guided the development of strategic media campaigns for local, regional and national accounts. As a Senior Associate, Aubrey guides teams to discover and activate consumer insights and apply them to a myriad of client business goals. She balances her steely-eyed executional chops with a keen ability to synthesize and connect the intangible. Often, she can be found canvassing a city for fresh evidence and inspiration or crafting compelling innovation platforms and laser-focused concepts. Aubrey’s background spans a variety of product/service categories. She is deeply involved in our work with leading CPG clients like Johnson & Johnson, Perdue and Campbell Soup Company/V8. Before joining Leap, Aubrey gained a passion for the power of consumer truth as she focused on public relations and marketing communications. She holds a BA in both English and Spanish from Bucknell University. As a Senior Associate, Stephanie contributes purposeful curiosity and flawless logistical planning to Leap’s client programs. Her category expertise is varied, having played a significant role in designing and executing programs within the health care, CPG and news media sectors. Stephanie is driven by her desire to figure stuff out. She’s an astute observer who can often be found on the road with a cross-functional client team, rolling up her sleeves with consumers, or stretching her perspective with analogous input. 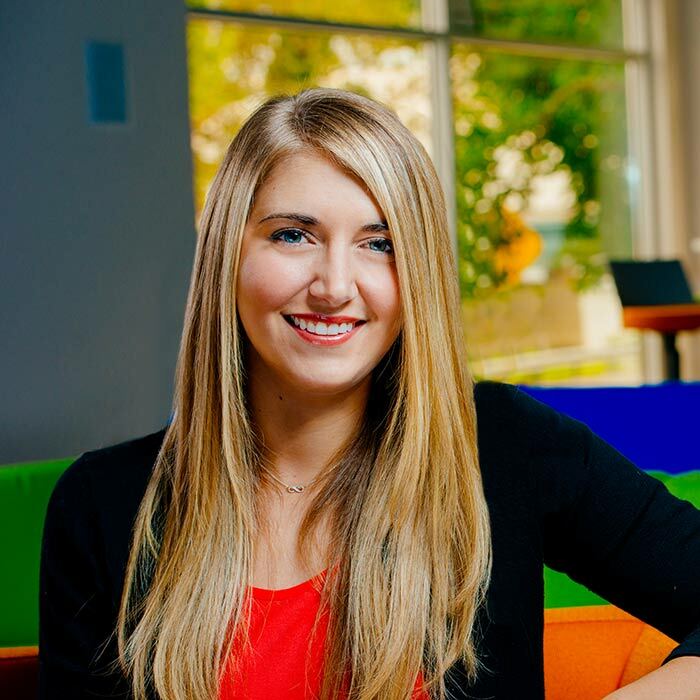 After graduating from Cornell University with a bachelor’s degree in communication, Stephanie’s career began in marketing. Her interest in group dynamics, social influence and persuasion set the stage for her focus on insights and innovation at Leap.